Looking for a new purse pattern? Look no more. Here is a new twist on purses. This Grids and Grommets purse pattern by Indygo Junction is a good way to use a Jelly Roll or just your Favorite Fabric. 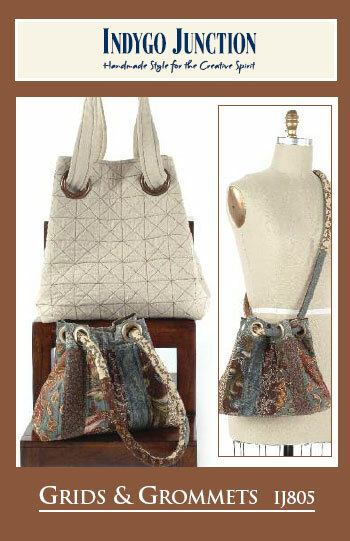 This purse pattern incorporates Large Grommets or Medium Grommets for closing and a comfortable shoulder strap. This entry was posted on Tuesday, June 30th, 2009 at 8:54 pm and is filed under Uncategorized. You can follow any responses to this entry through the RSS 2.0 feed. You can leave a response, or trackback from your own site.